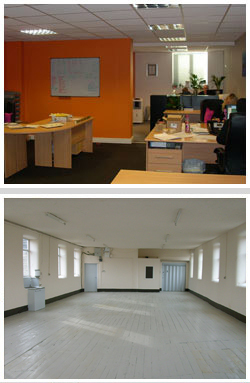 Are you looking for industrial or commercial units to rent in the Tameside area? If so, come to Copley Mill in Stalybridge. We have offices and units available to rent at competitive rates inside a lovely Grade II Listed stone-built mill. Sited on the edge of the Pennines, Copley Mill is ideally located for the M60, M62 and M67 motorway networks and conveniently close to Ashton-under-Lyne, Audenshaw, Denton, Dukinfield, Droylsden, Hyde and Mossley. It is also only a 30 minutes drive from Manchester Airport and 20 minutes from Manchester city centre and the local station provides rail services to Manchester, Leeds, Liverpool and surrounding towns. Come and join the Copley Mill community and become part of a multi-occupied commercial environment covering a variety of business sectors. For a quote, please go to our contacts page and fill in your details or give us a call.